"We know that many of you are waiting for news of our next publishing project and we’d like to thank you for your ongoing patience. We will be making an announcement shortly, so please keep watching this news page." James Bond fans were abuzz. The literary 007 had gone into eclipse after Raymond Benson’s The Man With The Red Tattoo and Die Another Day novelization in 2002. Now it appeared new Bond books were on the horizon. But what kind of books would they be? "In Spring next year James Bond will return as we’ve never seen him before. Ian Fleming Publications Ltd is thrilled to announce that in March 2005 Charlie Higson will take us back to where it all began in the first of his novels introducing the teenage years of the boy who was to become 007." "Oh dear God!" 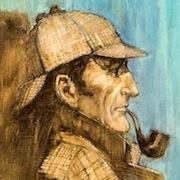 cried one post on CommanderBond.net, the largest online James Bond fan forum with a highly vocal and opinionated membership. Others joined the pack: "IFP, what are you thinking?" -- "Bad, bad, bad, bad, bad, bad, bad idea." -- "No Good Will Come of This" -- "The end of James Bond as we know it!" The fans had reason to be skeptical. This wasn’t the first time James Bond has been aimed at the kids market. In 1967 Glidrose published The Adventures of James Bond Jr. 003, a book that featured James Bond's nephew, and Eon Productions had produced a James Bond Jr. cartoon series in the early 1990s, which included a plethora of tie-in merchandise. Both projects did not find great favor among the public or fans, so the idea of yet another "Junior James" series seemed ill-advised. The choice of Charlie Higson, a well-known UK comedian and star of the popular The Fast Show, did not necessarily quell fears. True, Higson had written three critically acclaimed adult thrillers and won a James Bond trivia contest on the UK TV quiz show, IQ, but it was unclear of he had the chops to write a James Bond novel, let alone a proper children’s book. ROSS: James Bond for kids? ROSS: Shame on them and shame on you! HIGSON: No it’s very… it’s proper… cause..
ROSS: James Bond is for grownups! HIGSON: But it’s James Bond as a kid. ROSS: No don’t do it Charlie. ROSS: Then don’t send it in. ROSS: I don’t want to see James Bond as a boy. ROSS: …well maybe with you writing it, actually it might work. The origin of what become known as the Young Bond Series lay in the reorganization of Glidrose into Ian Fleming Publications in the late 1990s. Until then, Glidrose, holder of the James Bond literary copyright, was owned by Booker PLC, a conglomerate that also owned the Agatha Christie estate and was involved in numerous other businesses. About three years into Raymond Benson’s tenure as the official Bond author, the Fleming family bought back the 51% of Glidrose from Booker and changed the name to Ian Fleming Publications (IFP). The new regime oversaw the last few Benson books as they started considering new ideas, including the idea to do a series of James Bond books aimed at the lucrative children’s market. Kate Jones, a talented editor and publisher, played a critical role in the creation of Young Bond and the selection of Charlie Higson as author. Jones had worked with Higson on his four adult thrillers, King of The Ants, Happy Now, Full Whack and Getting Rid of Mr. Kitchen. "I learnt a great deal about pacing and structure from Kate and her suggestions were always very welcome and always improved the books," says Higson. Jones, who had courageously beat cancer in the '90s, developed the relationship between IFP and Penguin, which resulted in fresh reprints of all the Ian Fleming novels in attractive new paperbacks in 2002. She then joined IFP as a consultant and worked with them on their ongoing project to relaunch the literary side of Bond. Higson recalls, "I was working on a sitcom [Swiss Toni] some time around 2002/2003 when Kate approached me with a top secret project. She explained that IFP wanted to remind the world that Bond had started life on the page, and also what a good writer Fleming was. Alongside a campaign to put Fleming back in the limelight, IFP were looking for respected ‘name’ authors to revamp the literary side of Bond, starting with a new series for younger readers. Kate had come to me because she thought I might be right for the job – although I was only one of a number of different writers she approached (including Anthony Horowitz, who, luckily for me, turned them down)." Jones explained to Higson that they were looking for an established writer of either children’s books or adult thrillers who was a fan of Bond and Fleming, who understood boys, who was marketable, and would be willing to work within a strict framework. "I guess I ticked enough boxes for them because I got the job," says Higson. "Although at the time the plan was to have a different author write each installment." Jones laid out IFPs outline of the proposed series to Higson. "I was to stick, as far as possible, to Fleming’s timeline and fit in with any facts presented in the original books. I was to set the series at Eton with a regular cast of characters. Bond was not to be a teenage spy, but he should have an important teacher in his life whose surname began with an M!" At first there was debate about how much the "James Bond" name should be used in these new books, especially if there was any ambition to spin them off into a film series. It was suggested that maybe Higson could come up with a nickname for Bond that could be used in substitution. 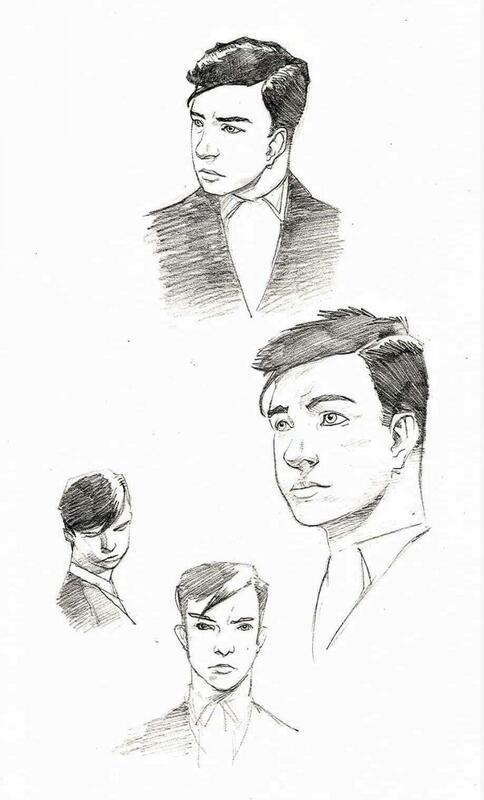 But Higson rejected this idea, feeling this boy had to be "James Bond" in name or the series really wouldn’t work. Nevertheless, there remained marketing restrictions on using the James Bond name on the covers, so Young Bond became the official brand name of the series (some foreign publishers, such as Arena Verlag in Germany, used the "James Bond" name regardless). Higson started his research at Eton. "The Flemings have a good relationship with the senior librarian there, Michael Meredith, who has incidentally created a fine Ian Fleming archive in the library, including many first editions. I think the college is quite proud of its associations with James Bond." Higson also consulted outside sources. "There is a wealth of material published about Eton, much of which I have read, but the most helpful book was one written by Bernard Fregusson [Eton Portrait, 1937] about what it was like to be a boy at the school in the early thirties." Higson decided that eels would play a major roll in the book, and not just because they terrified his wife. "I needed a bad animal," he explained in an early interview. "Finding a new dangerous animal for a Bond project is tough. We’ve had all the obvious ones -- octopus, giant squid, tiger, sharks, crocodiles etc. etc. But I wanted something scary that kids could relate to and might actually think they could come across in their own lives. Eels were the obvious choice. But, as eels are fairly benign and would never attack a human, I had to make them mutated eels, which led me to some of the mechanics of the plot." As with the other continuation novels, the title would be a collaborative/committee decision. "My working title was Out Of Breath," says Higson. "But this was a little too Elmore Leonard. We wanted something that sounded suitably Bondian but wasn’t too specific in it’s meaning. Between IFP, myself, the publishers and everyone else involved we came up with loads of titles – and in the end SilverFin was the one most of us agreed on." It was a title Higson felt perfectly captured the essence of a young James Bond novel. "It’s silver -- not quite gold." Higson submitted his first draft to Kate Jones, who worked with him on the structure and the essential Flemingesque qualities of the book. IFP then had their read and made a few helpful comments. "For instance," recalls Higson, "my first draft had James with a dog – the family explained that Ian had hated dogs, so the dog bit the dust!" The manuscript was then submitted to Puffin where it was edited by Rebecca MacNally. Higson points out, "Rebecca was less concerned with the authentic Bond/Fleming elements of the book, she was happy to let IFP worry about that side of things. She was a hugely experienced children’s editor – and let’s not forget that the target audience for these books is ten year old boys – and she just wanted to make sure that SilverFin worked as a novel for kids." 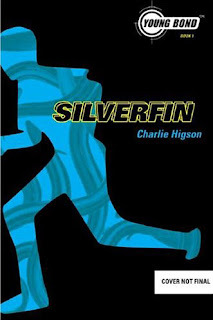 Higson had finished SilverFin before the series was ever announced to the public, and he faced his critics in his first pre-publication interview (with your truly), where he candidly revealing that he was well aware of the negative reaction from fans. "I look at all the websites and have been following the arguments with great interest," said Higson. "It’s useful to know what people are thinking, though, of course, these books are aimed at a younger readership than the fans who take part in the forums. I fully understand the fans’ reservations and scorn – I’d have felt the same way if I’d heard that someone else was doing this project – but I hope I can prove a few people wrong." Cover art for SilverFin, featuring an eel motif that IFP planned to use worldwide, was revealed on August 18, 2004. According to Penguin marking officer Justin Renard, "The look established with SilverFin was considered the perfect formula of clean, sharp design that is accented with a silhouette of an iconic creature to represent the darkness inside and imply that this will be no day at the beach." Also revealed where plans for an ambitious publicity campaign by UK publisher Puffin Books. The "inescapable" £50,000 advertising blitz would include in-store displays, street posters, "invincible" trade advertising, bus-supersides, and a "Young Bond privileged access microsite." 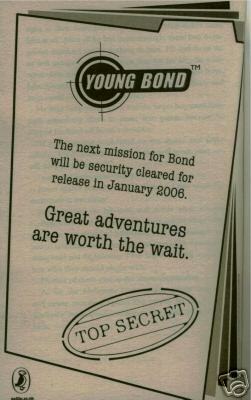 Puffin also confirmed that the second Young Bond adventure would be released in November 2005. 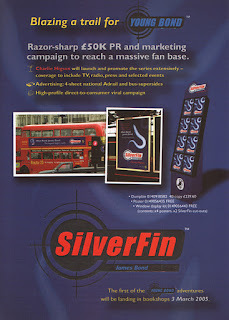 SilverFin hit UK stores as a trade paperback original on March 3, 2005 to strong sales and excellent reviews. Even the most vocal critics had to admit that the book was a respectful of Fleming and successful as a James Bond novel for kids. 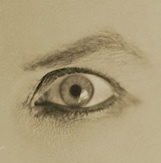 The eel cover art was given a sparkling treatment on the first edition. In the U.S., SilverFin was released as a hardcover on April 27, 2005. Talk of a film started almost instantly. 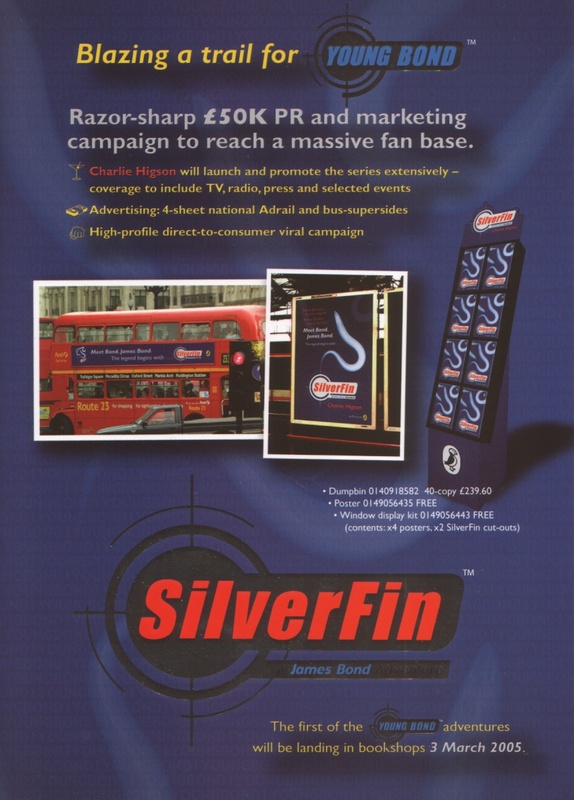 The Guardian reported that that the success of SilverFin "has quickly provoked fierce competition between film-makers" and that companies like Miramax and DreamWorks where making "heavy pitches." The paper also reported British film companies had approached the estate, including Heyday Films, the English company that makes the Harry Potter series for Warner Bros. The tabloid press quickly started speculating who would play the young James Bond, most suggesting (unimaginably) that Daniel Radcliff was a lock for the part. Some reported that a deal was already in place. However, Corrine Tuner, currently the managing director of IFP, who along with Kate Jones and Zoe Watkins oversaw the creation of Young Bond, responded to the reports; "We are not doing a film deal yet because we are confident that the books can stand alone for a while. Book buyers everywhere keep telling us they would buy the title even if it was nothing to do with a strong brand like Bond, simply because it is so well written." Charlie Higson would add, "We’ve certainly had a lot if interest from filmmakers. But we want to get the books established first and not rush into making films, otherwise people only know your characters from the films, and they may be different from how they are in the books." The truth was while many film companies and filmmakers, including Steven Spielberg, did express serious interest in Young Bond, making a deal that didn’t involve Danjaq/Eon Productions -- who own the cinematic rights to 007 -- was complicated. The plan would remain to see the book series a success before films were even explored, and despite occasional flare up in the media (who continued to flog the idea of Daniel Radcliff well into his 20s), the idea of a Young Bond films series remained (and remains) in a state of limbo. But in 2005, books are what mattered, and while SilverFin silenced the critics, what came next would turn many into die hard fans. Great article and one thing we can agree on. Despite my initial misgivings I think they are a superb series of books. I would love Higson to continue them. Join the dots right up to Casino Royale. Kevin - I believe By Royal Command was released by Gallimard in France. Yep, Danger Society was only published in the UK, no other countries. Heck, even the SilverFin Graphic Novel was published in France. You are luck to have four books at least, in spain only the firts book was realised. What a fabulous series of books! I would love Higgson to be commissioned for the adult Bond and for him to cover the war years and take us up to "Casino Royale"